What's that saying? You can't keep a dirty cop down. 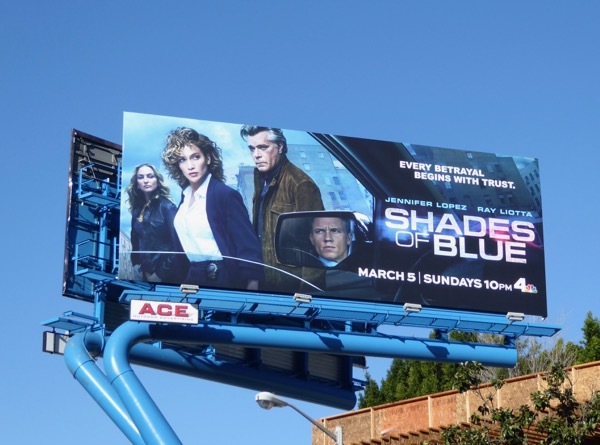 This March Shades of Blue and its high-profile cast, including Jennifer Lopez, Ray Liotta, Drea de Matteo and Robert Stahl, return for a second sinister season. 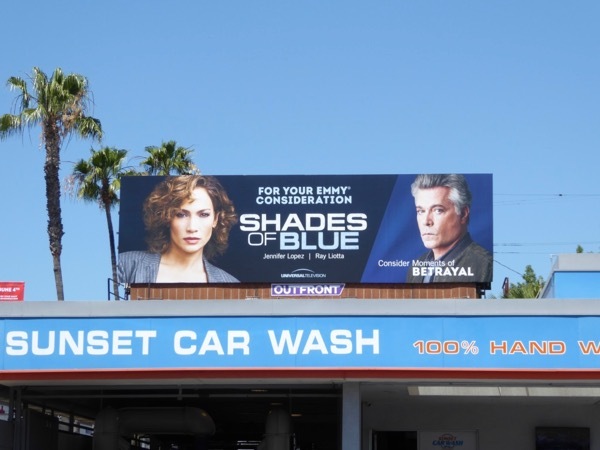 Can JLO's single mother Brooklyn detective 'Harlee Santos' continue to play her tight-knit corrupt police precinct and the FBI off against each other, and still manage to keep her own secrets (like she killed her daughter's father) at the same time. 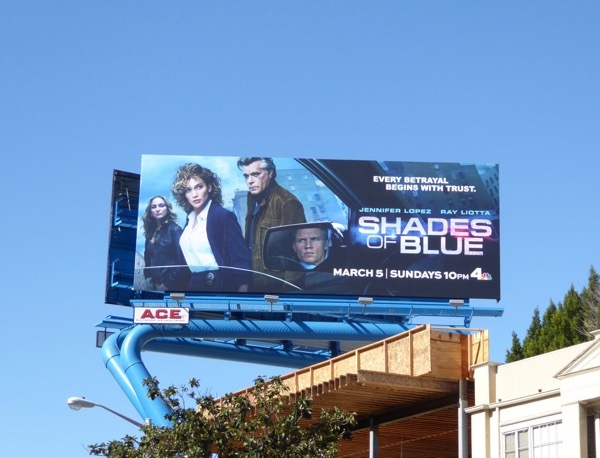 This sophomore season billboard was snapped above West Hollywood's Sunset Strip on February 22, 2017. 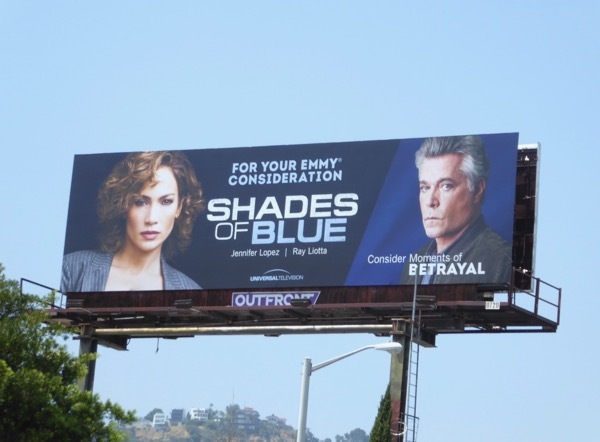 Fans of the NBC cop show can also enjoy these Shades of Blue season one billboards along with other JLO themed billboards. Plus for another cool rear view mirror ad creatives, be sure to check out this DeLeón Tequila billboard. Police corruption never ends well, so it'll be interesting to see how all these betrayals and bending of the rules play out in these all-new episodes. 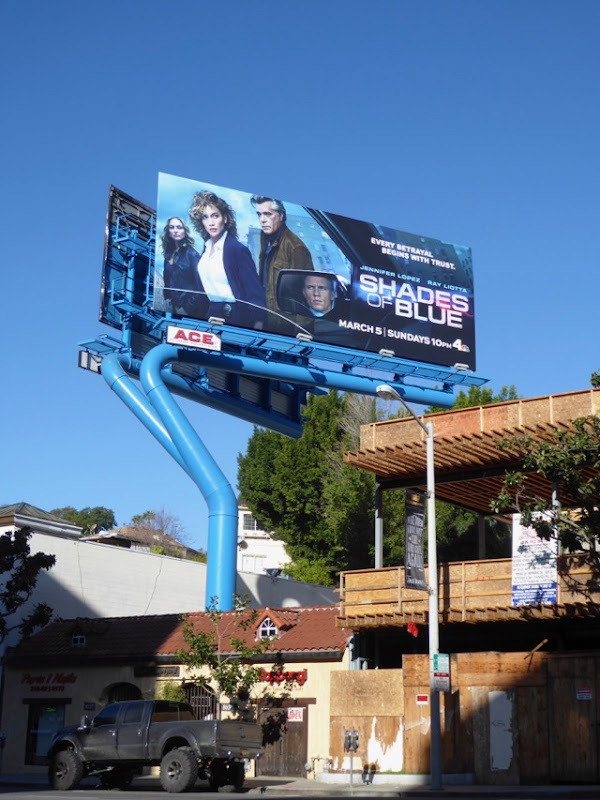 UPDATED: Here's also the Emmy consideration billboard for the second season, spotted above Fairfax Avenue on June 1, 2017. 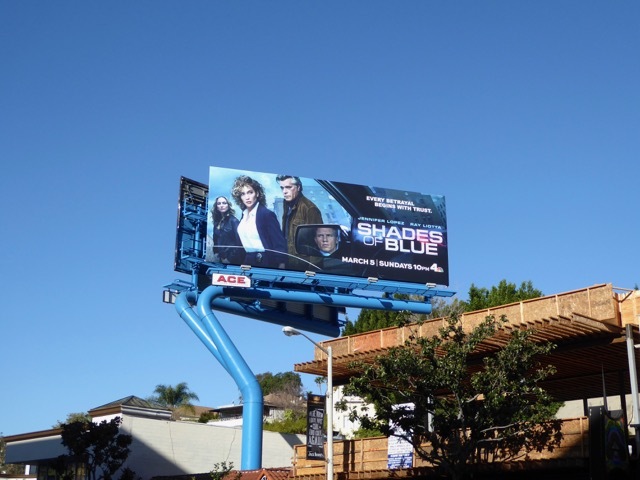 Plus here's more support for the show spied along Sunset Boulevard on June 12, 2017.